The convenience of never purchasing another filter is the main reason to purchase this filter. It is stainless steel and so very easy to wash. The disk is precision cut, and no coffee grinds get through the filter. Never run out of filters ever again. 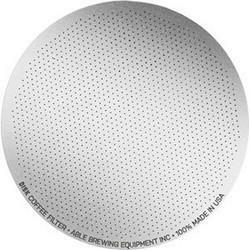 The Stainless steel filter produces a consistent and creamer cup of coffee. There is a fine and standard, we normally stock the standard.